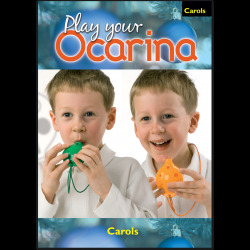 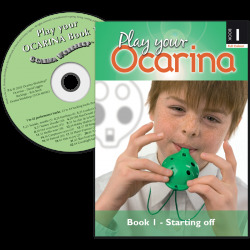 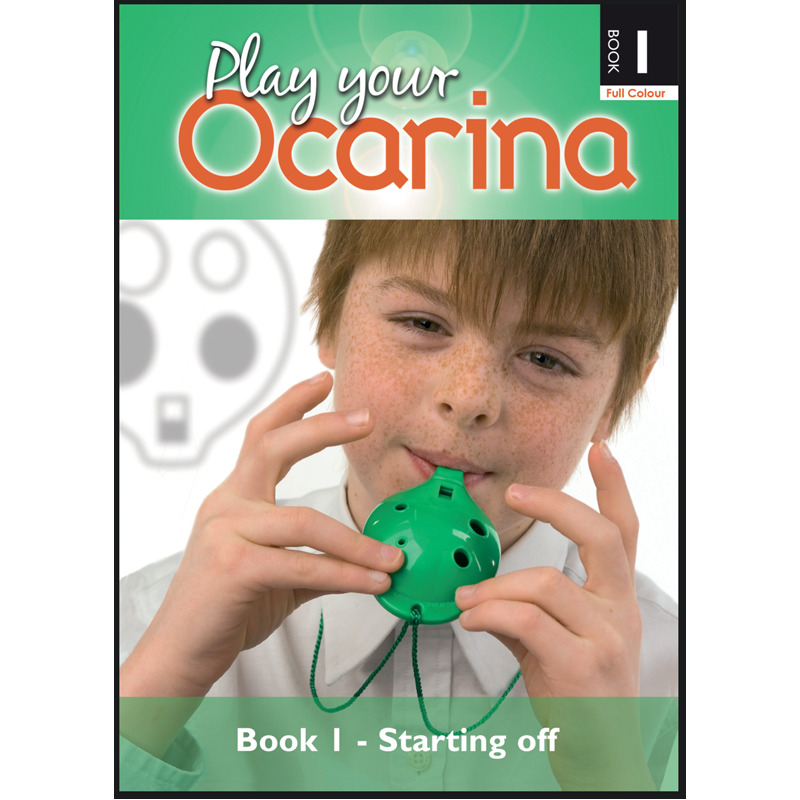 Play your Ocarina Book 1 – Starting off is the established book for beginner ocarina players. 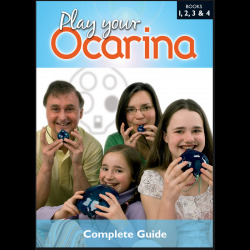 The first 6 tunes are in easy-to-follow Oc-pix™ (ocarina-shaped finger-charts), suitable for all first-time music makers. This brand new full-colour edition of Book 1 includes well known traditional tunes all in clear, easy-to-read pages, suitable for children as young as 4! 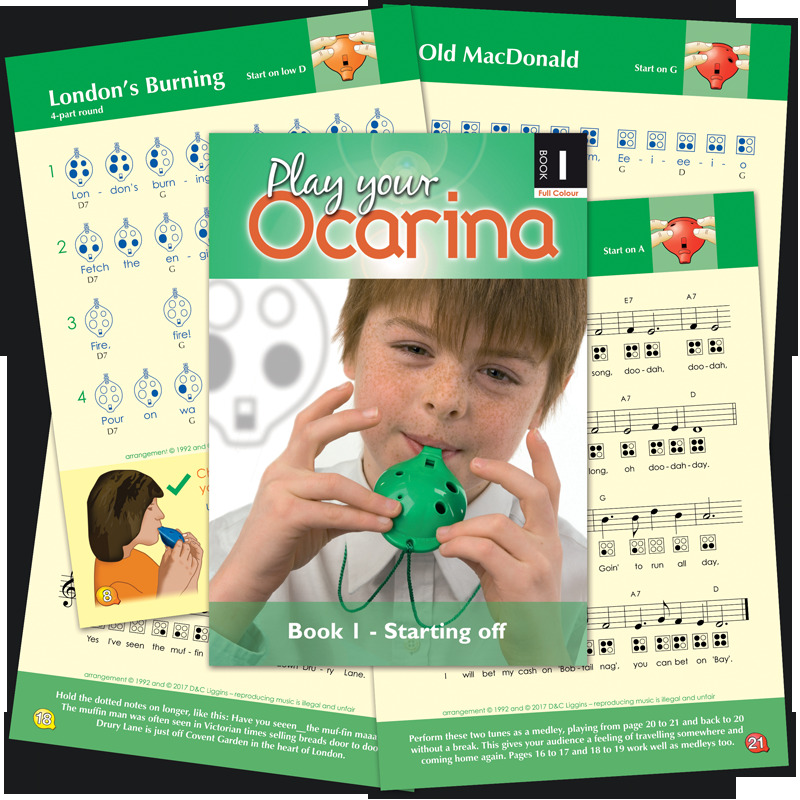 The rest of the 22 familiar tunes are presented with Oc-box™ fingercharts under each note along with traditional music notation. 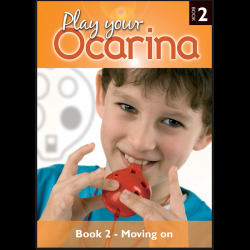 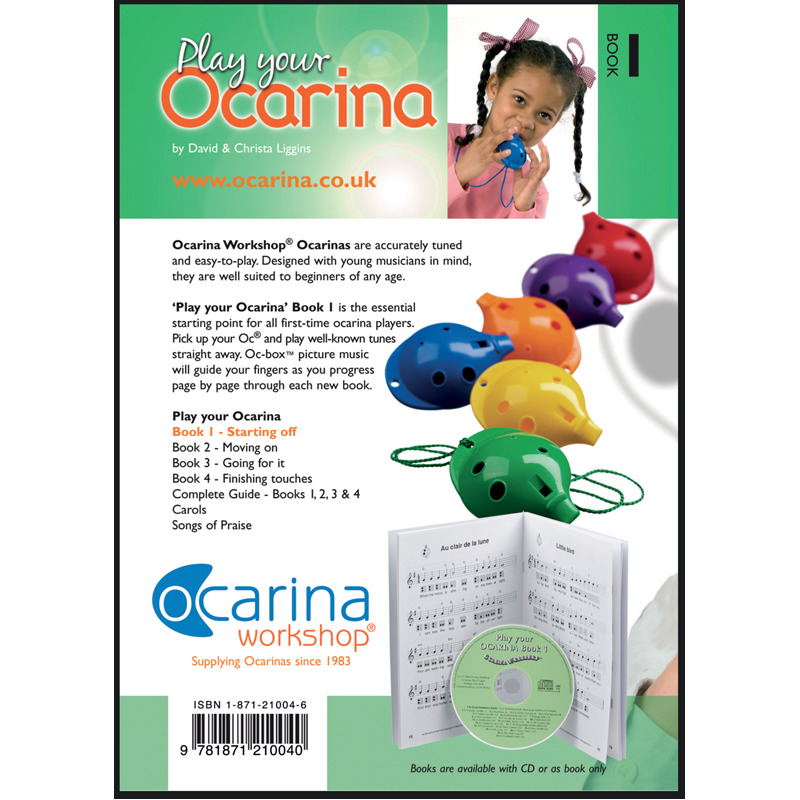 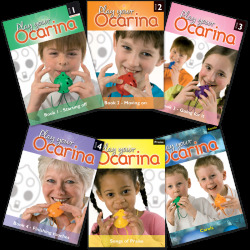 This is standard in all Play your Ocarina books from Ocarina Workshop and the key to successful playing. 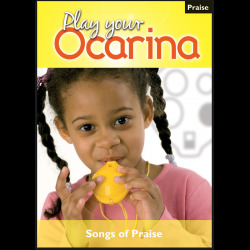 This book is also available with accompanying audio CD.